The Stones on tour in Philadephia. Giuliano photos. 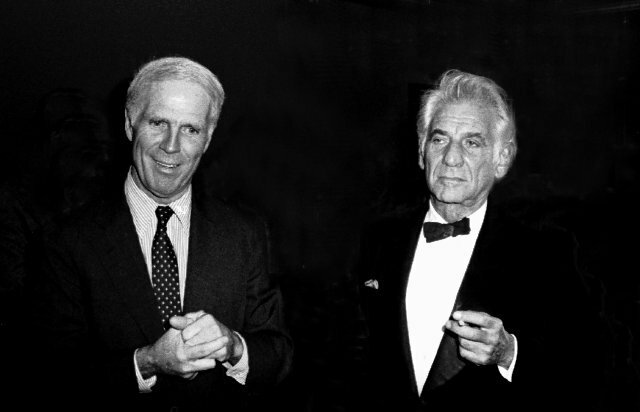 Kevin White clasping hands while Leonard Bernstein puffed. During a recent interview with producer John Sdoucos he recalled dealing with former Mayor of Boston, Kevin White. This was typical of how Mayor White took credit when things went well while blaming others for mishaps. He played bait and switch when the Stones were busted enroute to a gig at Boston Garden. He told the sold-out audience waiting for the Stones that they were busted but he got them out. The attorney Martin Kaplan, of the Boston firm Hale and Dorr, now WilmerHale, for the first time sets the record straight. This is the true story of a great event in Boston's rock history. I was there that night for Exile on Main Street and remember it well. Martin Kaplan The Rolling Stones had a system of protecting themselves by retaining major law firms in every American city where they performed. It was the Stones’ 1972 Exile on Main Street tour. I got a call from Allen Arrow a prominent music industry attorney. They wanted to hire a law firm to have people available in the event of any need for legal services. They didn’t want to get hit with emergency bills. The deal was to bill our hourly rate and there will be two free tickets for each night. You will have a partner for each performance to be reached in the event of an emergency and someone else at home. On the way from Toronto to Boston their plane was diverted because of fog. They were in a hanger waiting for a limo. Security let their guard down and the media got too close. Keith slugged one of the photographers. It was the fault of security for not preventing that. Cops arrived and arrested Keith as well as Mick who joined in. They were just trying to defend their privacy. So now they’re sitting in the clink and needed help. So my wife and I raced there. Of course there was a crowd and reporters. It had become a media circus. The cops were saying “We have to follow procedure.” The cops turned them on to a local attorney who had a good relationship to them. We spoke with him and the attorney I had hired. I was talking to the police chief to get them out. I got into the parade of many cars following the limo. It was racing and I was behind not letting anyone get in between. Reaching the Garden I pulled the keys and left the car saying to security “I’m the Stones attorney” and just left it there. They were supposed to be there at 8 but it was more like 11 or so. (They arrived and went on at 1 AM after a very long opening set by Stevie Wonder.) I had seen them sitting in a cell. Kevin White went on stage and said “I have bad news and good news.” (Actually, “The Stones have been busted, but I have sprung them!") White kept the MBTA running until a half hour after the concert. There were no problems and my wife and I went the next night. That’s the story and Kevin White, who took credit, really had nothing to do with it. He wasn’t on the phone with the people in Warwick as he claimed. Problems don’t get solved by politicians talking to cops. It works from police chief to police chief. Why on earth would a Rhode Island police chief do a favor for Kevin White? Cops work with and trust each other. The criminal charges were dropped but the photographer sued for assault and battery. The Stones would not pay a dime. After a couple of years of back and forth the Stones did not apologize but signed a letter to the plaintiff stating “We regret the incident that happened.” We were paid at our hourly rate, which was fine, but gave our firm the great memory of having gotten the Stones out of jail. "I'll never forget that night. What wasn't mentioned is when Mayor White announced that the Stones had been arrersted, before he could say he got them out, you could hear seats being ripped up from the floor. As soon as he quieted the crowd, to kill time, they decided to throw about 50 beach balls and footballs into the audience to entertain each other. Well, if you remember, we were sitting with the BCN staff in the photographers row, which hung over the first balcony so as soon as one audience member realized the whole BCN staff was sitting there, we became target practice for everyone who had a football and strong arm. It was HELL! 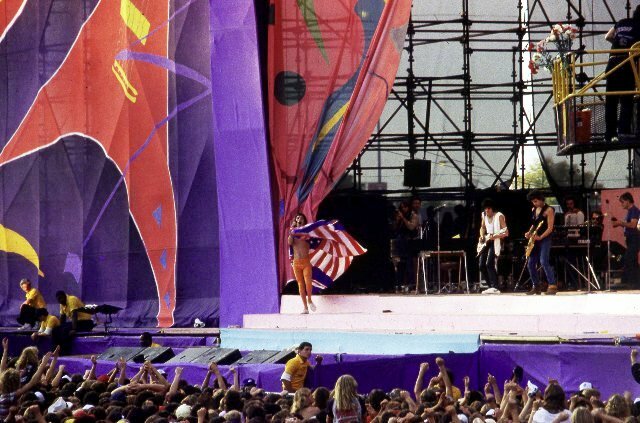 But, when the Stones showed up, Mick told the whole crowd that they were going to make it up to all of us and that show will go down in Stones history as one of their best shows to date. Clearly a night to remember..."
"think we were all here.... Big Chuck, Johnny B., & me in support of our ABC opening act The Crusaders who went on on time.... Marko, Tardy, and Ritchie Ziminski were there too! Backstage was incense, tie-dye, and little else when you’re the third act on the bill. Charles...keep digging you are definitely on to something, as these were some of the defining times of our lives. Roger"
"Great story. It's all purple haze but I'm pretty sure I was along for the ride that night." "I was there! It was amazing!" "Neat story. I also saw the Stones on that tour, July 26, 1972, at Madison Square Garden. It was Jagger's 29th birthday, and a great show it was. At the end of the show, in honor of the birthday boy, the pies started flying. One caught Stevie right in the grille. The crowd was jumping up and down, the building was vibrating, and I thought the Garden would collapse." "As Kevin White's Police Commissioner Joe Jordan, appointed by him and working for him, was acting on the mayor's behalf. So, actually White (certainly no angel) did get them out. Remember, Kevin was a lawyer, and my experience underscores that lawyers like to take credit for everything good and nothing bad whether they had much to do with a situation or not."